Postpartum depression is something that is pretty common but it is not commonly talked about between mothers. There is a lot of emotions associated with the arrival of a newborn. You will feel excitement, anticipation, joy, anxiety and even fear but it may also result in depression. There is a lot to take in once the little one arrives. From his daily feeds, nappy change, breast pumping to him crying without a reason at night. The first few weeks may just be a hodgepodge of emotions for you as you try to adjust to the new role of being a mom. Many new mom experience “postpartum baby blues” after childbirth. Typically, new mothers experience mood swings, crying spells, anxiety and difficulty in sleeping which may begin within the first two to three days after delivery and may last up to two weeks. However, some mothers may experience something more severe; a long-lasting form of depression known as postpartum depression. I experienced the postpartum depression when I gave birth to my first child which lasted for 6 months. I was lucky having my mom and hubby accompanied me to pull through that difficult moment five years ago. It is important to note that postpartum depression is not a character flaw or weakness. It’s simply a complication of giving birth and it is important that you understand what it is. When you are pregnant, all eyes are on you. The amount of attention a pregnant lady gets can be overwhelming but in a positive way but after birth, the dynamics change. The focus shifts from you to the baby and suddenly, the special treatment that you have been getting the past nine months is not applicable to you anymore. Coupled with the sleepless nights and the sense of helplessness most mothers feel, it can be overwhelming. Most mothers go through a period of postpartum blues where they feel tired and overwhelmed but most of them pull through. In some cases, the lingering blues develop into a spiralling depression. Some may think it’s because they are not a good mothers and feel ashamed to discuss the feelings they are going through. While there are no set and single cause to postpartum depression, physical and emotion issues may play a role in why some mothers suffer from postpartum depression. Physical changes where mummies will experience a dramatic drop in oestrogen and progesterone right after childbirth. Other hormones produced by your thyroid gland may also drop sharply and can leave you feeling tired, sluggish and depressed. This may contribute to postpartum depression. Emotional issues occur when you lack of sleep and overwhelmed by your new baby, you may have trouble handling even the smallest problems. You may feel anxious about your ability to care for your newborn while dealing with the changes in how your body looks. You may even feel like you have lost control over your life. 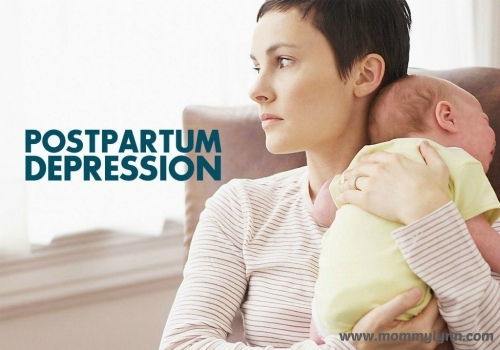 These may be some of the issues that may contribute to postpartum depression. You have a history of depression, either during pregnancy or at other times. You have had postpartum depression after a previous pregnancy. You have family members who have had depression or other mood stability problems. You have experienced stressful events during the past year, such as pregnancy complications, illness or job loss. Your baby has health problems or other special needs. 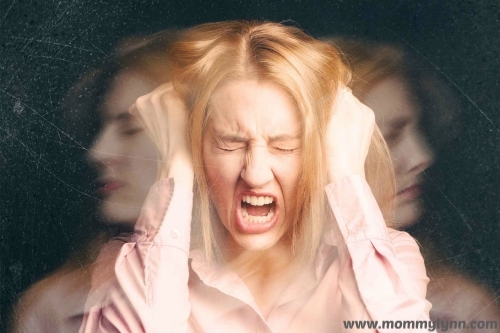 You are having problems in your relationship with your spouse or significant other. You have a weak support system. The pregnancy was unplanned or unwanted. These symptoms may be mistaken for baby blues at first but the signs and symptoms are more intense and lasts longer which may eventually interfere with your ability to care for your baby and to handle other daily tasks. Symptoms may develop within the first few weeks after giving birth but may develop up to six months after birth. If you have some or all of the symptoms listed above; first and foremost, it is important to speak to your partner or husband about how you feel. You will find that by sharing these feelings with your other half, it is the first step to recovery. But if you feel that you are not feeling any better, do seek for doctor treatment as it is highly treatable if the problem is diagnosed early.